Buying a home can be intimidating, there’s no doubt about that, but it doesn’t have to be as scary as you might think. We spoke with Fred Allard of Mortgage Network, Inc. and Jeff Esterkes of Leader Bank to get some insight on why you should buy now and how you can secure a mortgage more easily than you may have thought! First, let’s dispel the two major myths that keep people from even attempting to get a mortgage: you need a 20% downpayment and a credit score of 780 or higher. When it comes to the downpayment, there are a variety of programs available that allow potential homeowners to put as little as 3% down! Meaning you can own your own home faster than you thought. 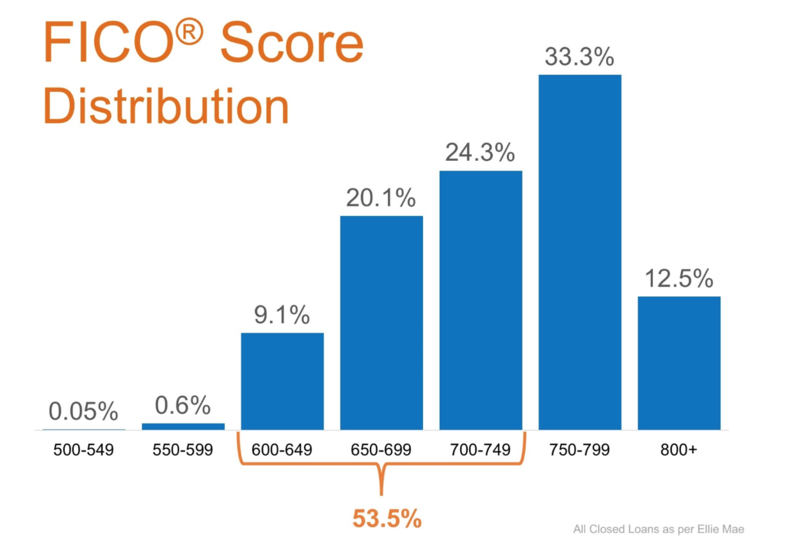 Many Americans believe that you need a 780 credit score or higher to get approved for a loan, and while that’s a good credit score, over 50% of approved mortgages had a credit score between 600 and 749. Now that we’ve established that you’re probably more qualified than you thought to get approved for a mortgage, here are Jeff and Fred’s top 4 reasons to buy a home now rather than waiting. 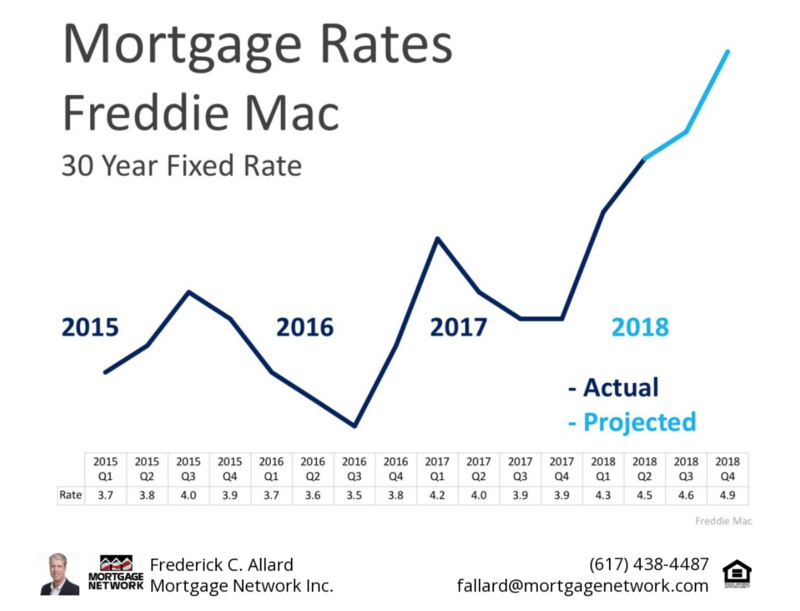 Interest rates for a 30-year mortgage were around 4.0% in 2017 and it is predicted that rates will increase a full percentage within the next 12 months. Why not get in now why the rates are relatively low instead of kicking yourself a year down the road? Similar to mortgage interest rates, home prices are predicted to continue to climb over the next year. Over the last 12 months, we’ve seen a 6.6% increase in price and that is continued to rise another 4.3% over 2018. Unless you’re living with your parents rent-free you are paying someone’s mortgage. The only difference is that when you own your own home you are earning the equity on the home that you can tap into later in life. Not buying a home because you are uncomfortable taking on the obligation of a mortgage when you look at it like this. Look at the actual reason you are buying a home and decide if it’s worth waiting on. If the right thing for you and your family is to purchase a home this year, buying sooner rather than later could lead to substantial savings. So you agree, it doesn’t make sense to wait any longer to buy a home. But now what? Below you will find Fred and Jeff’s Quick preparation Guide for Financing. If you have any questions please give us a call. Proper planning includes practicing to make a mortgage payment. Deposit any difference between a current housing costs obligation (rent) and a proposed housing payment to an account that cannot be accessed during the month. If tough to make ends meet and the funds are needed, the proposed housing payment is too high and purchase expectations must be adjusted. If no struggle during the month, then the target payment is reasonable and the deposited funds become an additional amount toward the transaction. Ready to start your home search? Check out our featured listings to get started!